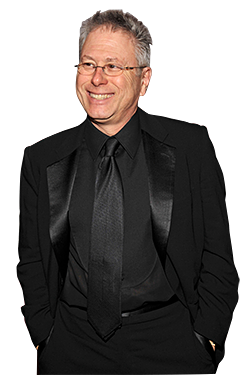 With eight Academy Awards in his trophy case, Alan Menken is the world’s Oscar-winningest living person (and if you count dead people, only Walt Disney and Alfred Newman have touched more AMPAS hardware). On Tuesday morning, the composer received his nineteenth career nomination, in the Best Original Song category, for “I See the Light” (co-written by lyricist Glenn Slater) from Disney’s Tangled. He took a few minutes out of a Caribbean vacation yesterday afternoon to tell us how it feels and size up his competition. Congratulations on your nineteenth Oscar nomination. Do you still wake up early for the announcement? Well, I’m in the Caribbean on vacation right now, so I’m actually about four hours ahead of Los Angeles. So I was awake way before [Tuesday’s announcement]. I put on the TV, but they don’t announce the song nominees, so I had to wait for a call from [my publicist’s office]. You have eight Oscars already — more than any living person — what would you do with a ninth? Do you have an Oscar room in your house? I have a joke, but I’m afraid that if I tell you, you’ll print it. I told my daughter that if I win [a ninth Oscar], I’m going to build a menorah. What’s something a first-time Oscar winner should be prepared for? Well, it can change your whole life. It elevates everything — first the night, then your career, your entire life. For a song winner, it can put more attention on the movie. If you’re a winner for Best Picture or one of the acting awards, it probably really changes everything. All of the Oscars I won were over a short period [between 1990 and 1996] early in my career, though, so to win one now would be a different, wonderful thing. Have you heard the other songs in your category? I have. I like our chances. I knew the A.R. Rahman song [“If I Rise” from 127 Hours] would be in there. And the Randy Newman song [“We Belong Together” from Toy Story 3] is always really catchy. And there’s the song from Country Song that features a great performance from Gwyneth Paltrow that surprised everybody. What about the nominations surprised you? I was surprised Diane Warren’s song from Burlesque [“You Haven’t Seen the Last of Me”] wasn’t nominated. I was a little disappointed there were only four nominated songs this year. I’m just wondering whether the nominees will get to perform this year. Last year they didn’t.